If the viral Buzzfeed-style personality quizzes are any indication, we are collectively obsessed with the idea of defining and knowing ourselves and our unique place in the world. But what we're finding is this: knowing which Harry Potter character you are is easy, but actually knowing yourself isn't as simple as just checking a few boxes on an online quiz. For readers who long to dig deeper into what makes them uniquely them (and why that matters), popular blogger Anne Bogel has done the hard part--collecting, exploring, and explaining the most popular personality frameworks, such as Myers-Briggs, StrengthsFinder, Enneagram, and others. She explains to readers the life-changing insights that can be gained from each and shares specific, practical real-life applications across all facets of life, including love and marriage, productivity, parenting, the workplace, and spiritual life. 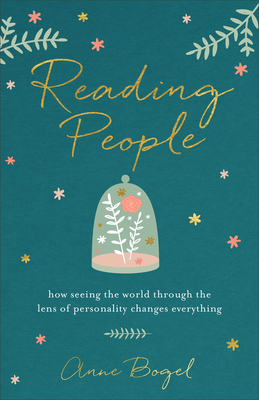 In her friendly, relatable style, Bogel shares engaging personal stories that show firsthand how understanding personality can revolutionize the way we live, love, work, and pray. Anne Bogel is the creator of the popular blog Modern Mrs Darcy and the podcast What Should I Read Next? Her popular book lists and reading guides have established Bogel as a tastemaker among readers, authors, and publishers. Bogel lives in Louisville, Kentucky. You can also find her on Facebook, Twitter, Pinterest, and Instagram.